Jumsports is a known manufacturer of medium to high end trampolines. They are known for their good customer service and all around quality. The product range goes from their lowest-end model 220, to 250, 350, 370, 550 and 570. The higher the first number, the larger the trampoline. The second number denotes the ‘trim’ i.e. quality level. Today we are about to try out the best of the best, the 570 PRO. PRO models have a better warranty and a tad better build quality, and they can be used in gyms and for professional purposes. 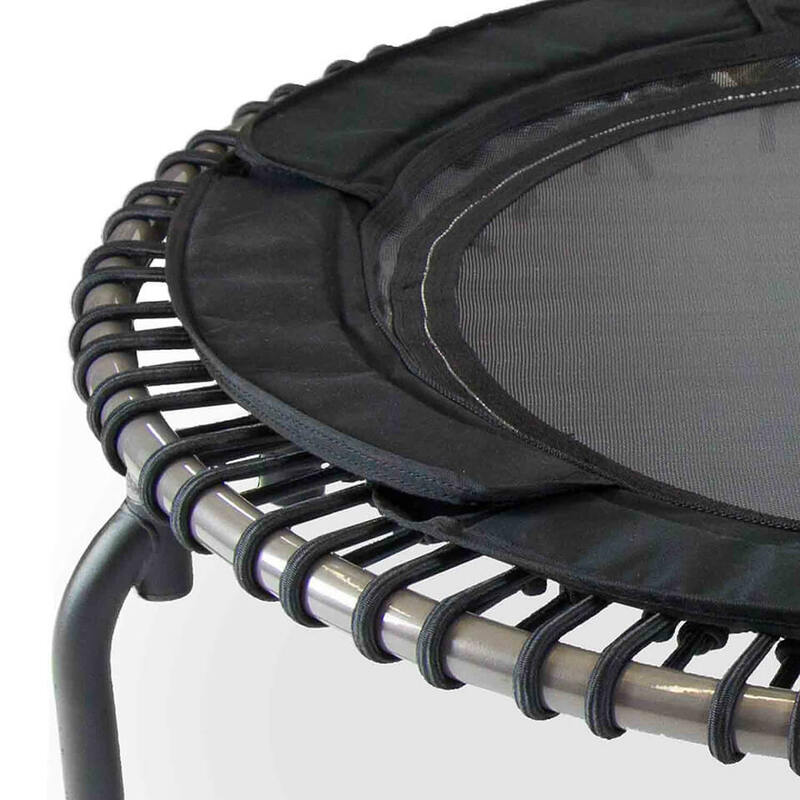 Jumpsport trampolines are unique in their design and very recognizable. It’s not the most exciting design, but one that proves to be good for overall usability. It features arched legs and petal spring covers, in all shades of black. It looks well made overall. 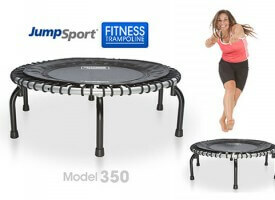 This is the largest rebounder in Jumpsport model range, with 44” in diameter, good for 1334 sq in of jumping surface. The trampoline doesn’t fold, but makes up for it in very sturdy, professional-grade construction. It is triple-coated for resilience to elements and uses heavy-duty 16 gauge steel tubing. There are no qualms about its 300 lbs. weight limit; this truly is the benchmark of a well—built trampoline. 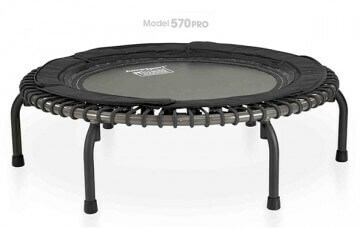 The legs are arched for better stability and resistance to tipping, although be aware that the trampoline is wider than it should be as a result. It is still quite light and transportable at 25 lbs. In practice, the sturdy frame doesn’t have much give and it’s fantastically quiet. We were really impressed by the quality, it’s obvious nothing was skimped on. Of notice for gym owners, the trampoline is stackable if you plan on getting a set of them. Unfortunately, the trampoline doesn’t come with extras, save for an exercise DVD. You get a set of rubber feet to keep is stable and silent. Take care not to lose them when moving the trampoline around. 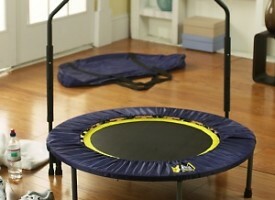 The trampoline comes with 36 bungee cords named ‘EnduroLast XF’. 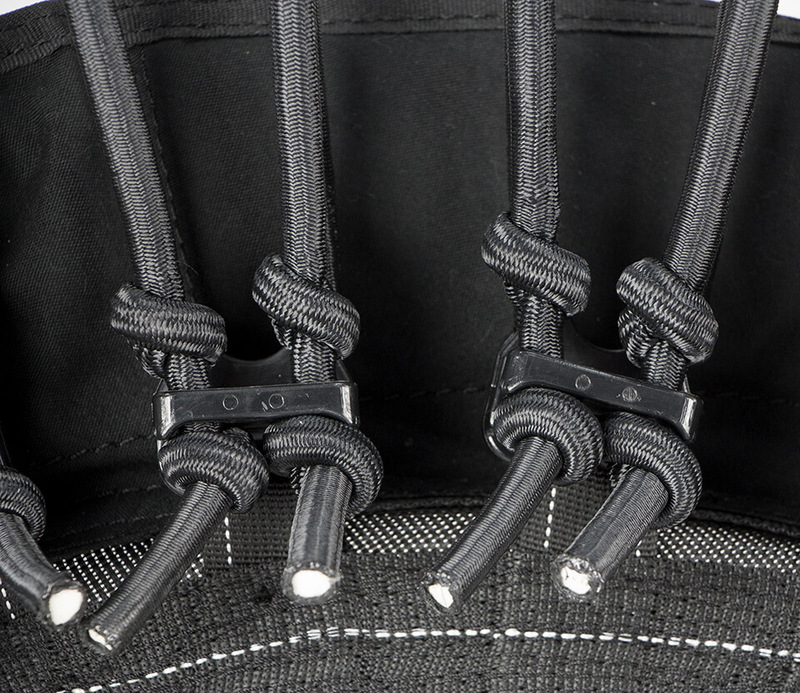 Marketing babble notwithstanding, these cords are very well-made and feature JumpSports’ patented technology. The tension of the cords can be adjusted to 7 levels for various types of exercises and jumper weights. You can experiment freely to see what level is the best for you. The bounce correspondingly changes, but it can always be set so that it’s lovely, smooth and cushioned. The tension levels are adjusted by tightening the bands in different patterns. There aren’t actually 7 tension levels for each cord; levels are achieved by tightening every other cord around the trampoline. The higher you set the tension, the stiffer your rebounder will be. This is good for trampoline running exercises. The skirt petals are not removable; they are sewn on. There is no fear of bottoming out, the trampoline simply doesn’t give that much (depending on how you set it up, obviously). The warranty is equally impressive as the rest of the rebounder. Being a ‘PRO’ model, it comes with an extended warranty – lifetime on the frame and legs, 5 years on the mat, 4 years on the elastic cords and a year on other parts. This is one of the best warranties in the trampoline world. The assembly isn’t difficult. You get the mat unit and the legs separately, and you have to install the legs onto the frame part. Make sure to tighten the legs well, otherwise the trampoline could wobble and feel very unstable. You also get a 4-in-1 workout DVD with one exercise segment divided into four parts: warmup, cardio exercise, stretching and cooldown. To call it ‘4-in-1’ is therefore a bit of a misnomer, but it’s a good program. 570 vs. the rest: Is it worth it? 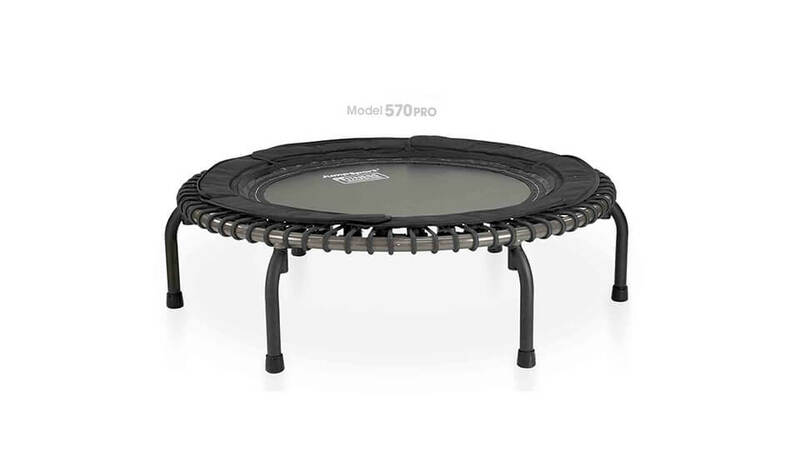 Compared with other trampolines, such as 350 or 220, this one features a 3-coat low friction finish; with 7 firmness settings, just like the smaller 370 (3 for model 350, 1 for model 220). Firmness levels let you fine-tune the trampoline to your liking. If 7 levels seems like overkill, Model 350’s three firmness levels look like a sweet spot. This model has a larger number of cords that are 1 mm wider in diameter, and sports a 50 lbs. higher weight limit than the rest. Is it worth your while? Well, it is the best of the best that JumpSport offers. If you spend a lot of time on a rebounder, and if money is not a consideration, this would definitely be excellent for you. But it’s certainly not the best-buy trampoline. If you can live with that, buy this one ASAP. Mind though that you don’t get much in the way of extras, such as handle bars or weights. They have to be bought separately and aren’t exactly cheap. 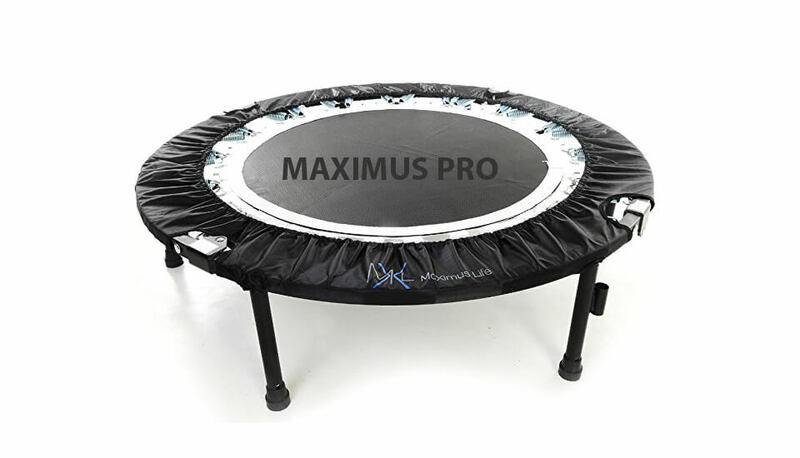 There are better value offerings around if that what you’re after, such as the MaXimus Pro Foldable Rebounder, which comes jam-packed with extras at a lower price – although you’d be giving up the adjustable firmness settings and the general quality level. This model also doesn’t fold. 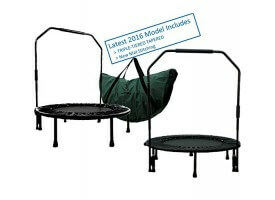 If you want a foldable trampoline from the JumpSport family, take a look at the 550f model. It is the same size as this one. If you crave more value or don’t want to spend as much, the 350 and 250 are fantastic models that we recommend to anyone, while the model 220 is a fine mid-range rebounder, albeit a tad smaller, for less ‘fanatical’ fitness buffs. Either way, you’re getting a good quality product. They are all worth a look and are currently one of the best rebounders around. If money weren’t an issue, we’d buy this one all day long. 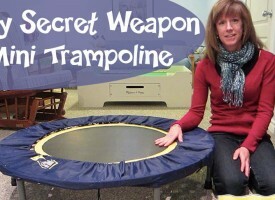 Mini Trampolines For Moms or How to Spend Time With Children!